The U.S. Virgin Islands (USVI) consists of the main islands of St. Croix, St. John and St. Thomas, along with the much smaller but historically distinct Water Island, and many other surrounding minor islands. Three of the main islands have nicknames often used by locals: “Twin City” (St. Croix), “Rock City” (St. Thomas), “Love City” (St. John), and “Small City” (Water Island). Tourism flourishes in the U.S. Virgin Islands, and is the USVI’s primary economic activity. The U.S. Virgin Islands are renowned for their white sand beaches and strategic harbors. The islands typically host 2 million visitors yearly, many of whom visit on cruise ships. Visitors seeking the warmth, beauty and relaxation of the Virgin Islands return year after year to what has become one of the Caribbean’s premier destinations. Most of the islands, including St. Thomas, are volcanic in origin and hilly, although St. Croix, the largest of the U.S. Virgin Islands has a flatter terrain. The U.S. Virgin Islands are permanently on Atlantic Standard Time and do not participate in daylight savings time. The U.S. Virgin Islands are the only area of the United States which drives on the left. One theory for this is when donkey carts were common, the donkeys preferred to walk on the left side of the road! The National Park Service owns more than half of Saint John. Hosvena, one of the world’s largest petroleum refineries, is located on St. Croix. Although they are U.S. citizens, USVI residents cannot vote in presidential elections. U.S. Virgin Island citizens, however, are able to vote in presidential primary elections. 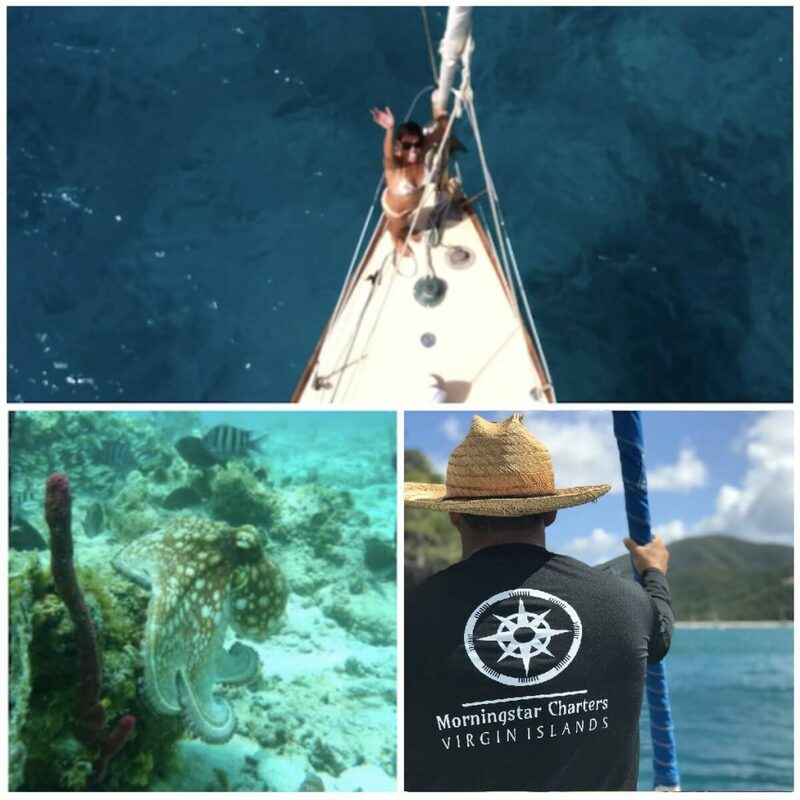 The Virgin Islands have a rich and exciting history that is full of intrigue, adventure, and some of history’s most colorful characters. The first human inhabitants of the Virgin Islands were the Arawak Indians. The Arawaks were descendants of coastal Indians from what is now Venezuela and Guyana who were forced out of that area by more aggressive tribes. They island hopped up the Antillean chain until they reached the Virgin Islands sometime around 300 AD. The Arawaks lived peacefully here, fishing and farming, until the fierce and cannibalistic Carib Indians moved into the area about 100 years before the arrival of Columbus. Christopher Columbus “discovered” the Virgin Islands on his second voyage to the Caribbean in 1493. Because the islands were sited around the time of the feast of St. Ursula, he named them “Once Mil Virgins” after the eleven thousand virgins that were martyred with St. Ursula. Columbus apparently was not impressed with the Virgin Islands, as he didn’t stay long, instead sailing on to Puerto Rico. The island was left unguarded by the Spanish and soon its sheltered bays were called on by ships from other nations, captained by men the Spanish would come to consider pirates. St. Thomas’ existence would continue as home to pirates and small settlements long before a European power decided to pursue a permanent settlement. In 1585, five years after the end of his famous circumnavigation, Sir Francis Drake was in the Caribbean, once again in search of gold laden Spanish ships. Legend has it that he used Magen’s Bay on the island of St. Thomas as an anchorage for his ships while he watched from a nearby hilltop for ships that he could plunder, and that he organized his privateering flotilla in Coral Bay, St. John. St. Thomas was settled in 1672 by agents of the Danish West India and Guinea Company. Early governors approved of St. Thomas becoming a pirates’ safe haven, recognizing that an influx of pirates would benefit local merchants. Because of its excellent harbor and the Dane’s willingness to trade with them, Charlotte Amalie in St. Thomas was home to, or visited by many pirates, famous and infamous. The most legendary was Blackbeard, a.k.a. Edward Teach. While piracy ceased to be a factor in the islands’ economy by the early 1800’s, slavery proliferated in the Virgin Islands until slaves out numbered Europeans on some islands by 5 to 1. It was under the Spanish colonists in Hispaniola that slavery began in the Caribbean. The indigenous people, both Carib and Arawak, were forced to work in Spanish mines and on farms. Conditions for them were so bad that most died of malnutrition and disease and others escaped the Spanish for temporary asylum in Cuba. In less than two decades, more than one million Indians had died or fled from the island of Hispaniola. By the time the Danes, British and French arrived in the Virgin Islands in the 17th century, the Indian populations had disappeared from there as well. Slavery rebellion is well documented, and in direct contradiction of the King’s orders, slavery was abolished on July 3, 1848. In 1867 a treaty to sell St. Thomas and St. John to the United States was agreed upon, but never effected. A second draft treaty to sell the islands to the U.S. was negotiated in 1902 but was narrowly defeated in the Danish parliament. During the submarine warfare phases of World War I and fearing that the Virgin Islands would be seized by Germany as a submarine base, the United States once again approached Denmark to purchase the islands. A negotiated selling price of $25 million was reached, and the U.S. took possession of the islands on March 31, 1917. 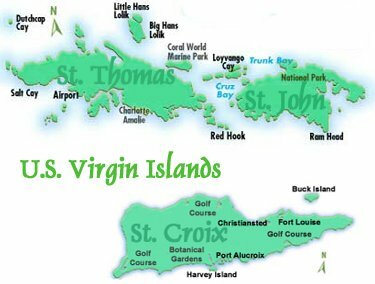 The territory was officially renamed the Virgin Islands of the United States. Nowhere else under the American flag will you find a culture as diverse, a history as exciting, and an environment as breathtaking as in the U.S. Virgin Islands. Whether it be to St. Thomas, St. John, St. Croix or Water Island, visitors continue to flock to USVI’s shores seeking treasure and pleasure, but no longer under a pirate flag.